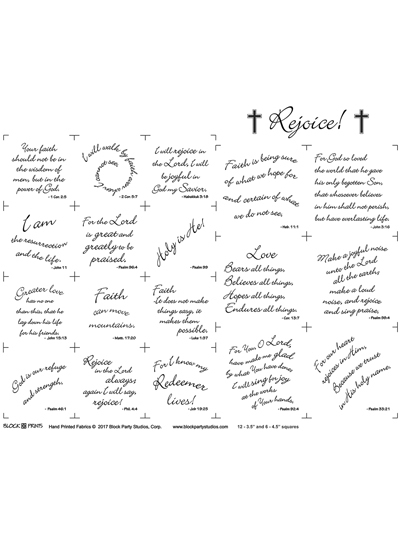 Rejoice with faith and love! This beautiful block panel is 12 - 3 1/2" and 6 - 4 1/2" squares on white 100% cotton fabric. 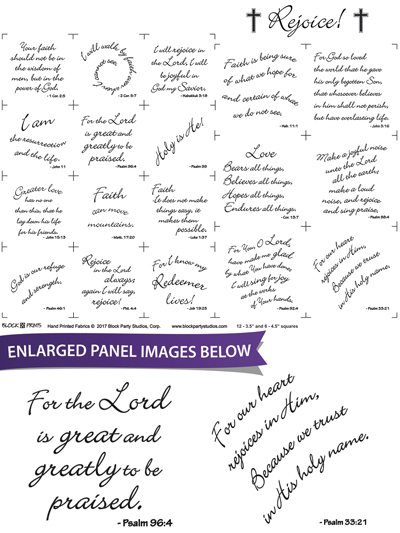 Each square features a verse to help strengthen you for each day! Made 4 quilts using this panel. Plan to make 5 more. They are such a heart warm gift giving a little warmth and comfort in some people's lives. Faith Panel 44" x 24"
Faithful Panel 24" x 44"